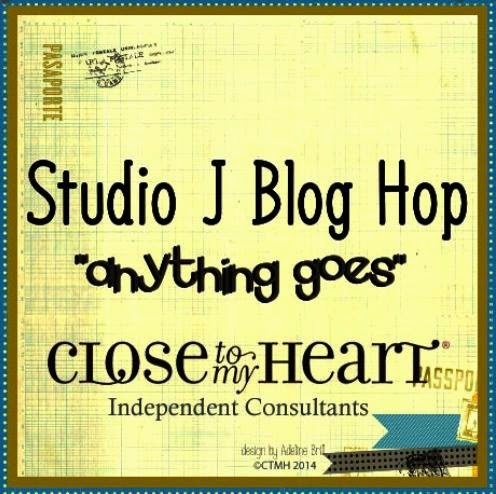 Welcome to our first Studio J Blog Hop. 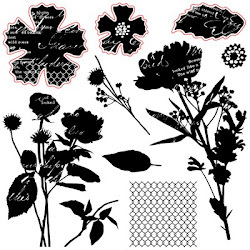 To learn more about Studio J Online Scrapbooking contact your local consultant. 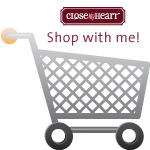 My customers (and Canadians without a consultant) can create and purchase from my website or by contacting me. We hope that you will take the time to leave comments on our posts, as we love to get feedback from our blog viewers. By leaving us comments, we get to hear what you like, and what you want to see. Thank you… now on to our hop! If you have just hopped onto my blog, you can start here as this is a circular hop. 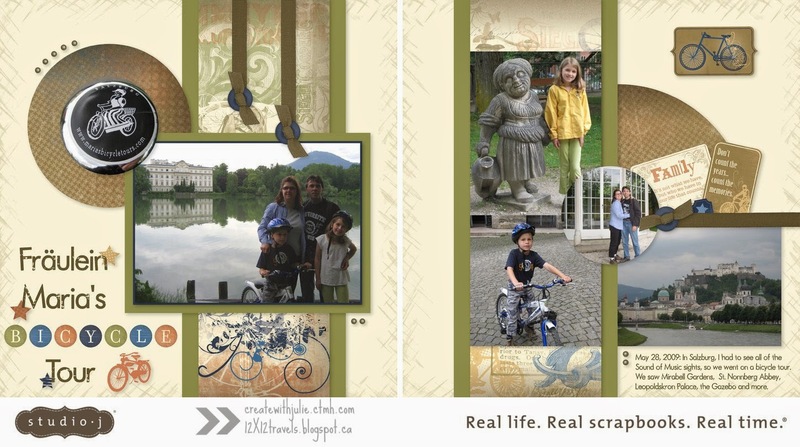 If you came from Marianne of The Scrapbook Chick, then you are in the right place! 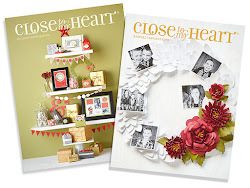 Close To My Heart recently launched it's new Annual Inspirations Idea Book, so several of my blog posts have referred to my favourite things. This often reminds me the song "My Favourite Things" from The Sound of Music. I saw a local production as a child and I'm sure I've seen the movie over 30 times. As mentioned previously, I spent a year in Ireland with my husband and two children in 2008-2009. We took advantage of the cheap air fare and explored other parts of Europe during school breaks. In May 2009, I planned a trip and tried to incorporate something for everyone. I really wanted to visit Salzburg and I just had to take my family on Fräulein Maria's Bicycle Tour. It was a great tour and we were able to see a lot of the sights from the movie. I love watching the Love Your Layout videos From Close To My Heart. When I saw one using the Lucky paper and My Stickese, I knew it would be perfect for my layout. One great thing about creating in Studio J is that you can change the size of your stickese and you can also use multiples. This is particularly great for my title, where I used them for "BICYCLE". I also had the choice of colour for each letter. I did make changes from the video to suit my pictures and theme. Your next stop on our Studio J blog hop is Heather's blog. If you get lost along the way, you can head to Adeline's blog, as she has the complete blog list. Thanks for hopping along with us. We hope that you've learned some new things to try in Studio J. If you're new to Studio J, I hope we've inspired you to try it out. What a fabulous layout! What a memorable year and I am sure you have tons of photos yet to scrapbook!